I was dismayed to hear today that booksellers will not be allowed to set up shop in the RootsTech vendor hall at the upcoming conference. Then I was still more shocked to see that not only booksellers, but craft vendors and genealogical studies vendors also will not be allowed in. Rootstech attracted thousands of attendees to its inaugural event last year — genealogy enthusiasts and professionals of all skill levels, both techie and non. To be honest, I thought that the selections in the vendor hall were a bit underwhelming for a conference of that size. Now it’s going to be even more limited? Now, I’m not an official RootsTech blogger or anything, but I did sing the event’s praises on my blog while attending last year and I was really looking forward to going to the 2012 event. Things like this make me wonder if the event is going to have the same positive vibe as last year’s though. I liked how inclusive the event was last year. That’s what made it work. I really hope that if enough of us raise our voices on this one, RootsTech may reconsider. 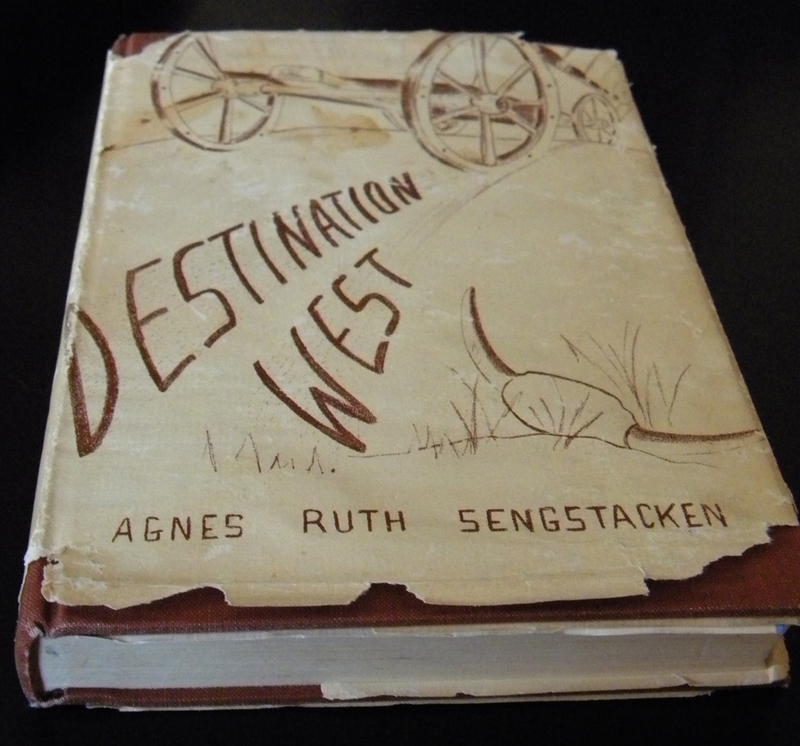 Treasure Chest Thursday: Destination, West! While in the Portland, Ore., area for the AIIP11 conference, I visited Powell’s Books. I usually hit the local interest section of a bookstore when I’m traveling because you can find great mementos there. I had another motive on this trip since I have a family mystery involving Oregon — back in the early 1900s, my great-great grandfather Joseph Smith Hayes moved his entire family, including seven children, from East Tennessee to Umatilla, Oregon. I found them there in the 1910 census. 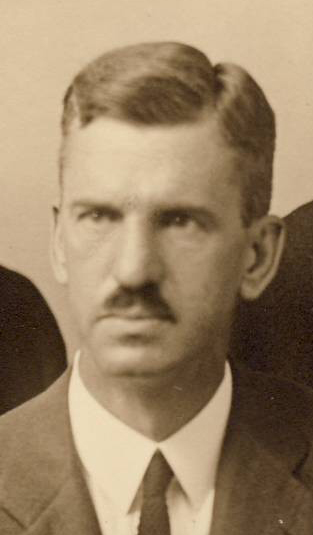 By 1920, the entire family was back in East Tennessee. I was looking for local history books that might explain why my ancestors made such a move (and then had to move back). Destination, West! by Agnes Ruth Sengstacken. It is always a pleasure to me to hear from someone who has read my book and has found some interest or enjoyment in it. It is a very simple little story, simply told, but it has the merit of being true. I believe that this is the first published account of a woman’s trip across the plains, told in detaul [sic], though many men have written of their experiences in those dim and distant days. …MS. this mistake is one of many made by the publishers of the book. Many years after my mother was located at Empire City, she paid a visit to Salem, where she was the guest of her old friend, Mrs. Sam Garke, the former Harriet Buckingham. While there she also visited with Mrs. Garke, whom I believe she called Belle – though I am rather hazy on this point. I especially recall that she always spoke in glowing terms of your grandfather, Tom MCF Patton, whom she regarded as a very brilliant man. Kindly pardon this wretched typing. 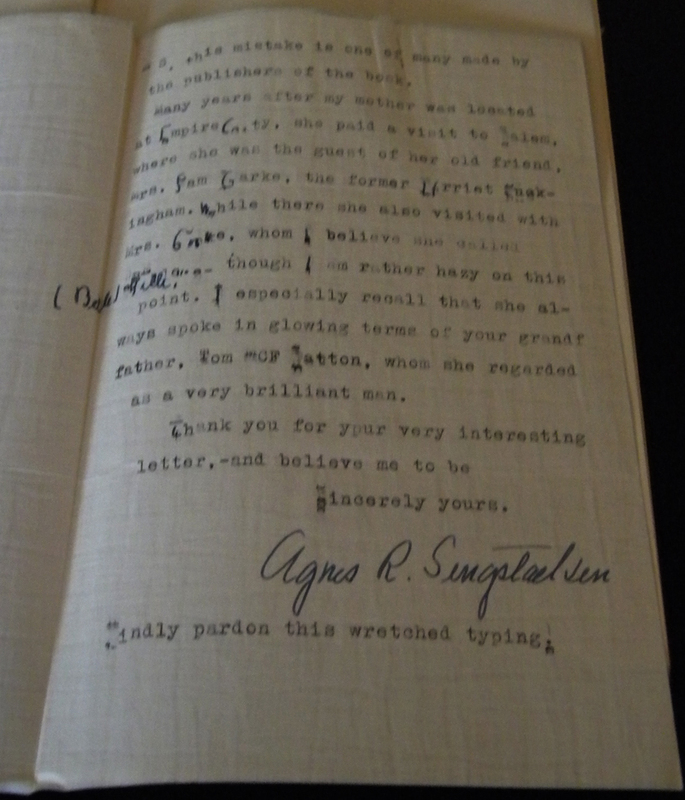 I found quite a bit of information on Agnes Sengstacken. She died in 1948, only a few years after this letter was written. In addition to the clues to the provenance of the book and this letter by the author, the book also sounds like it will be a fascinating read! Who knows, maybe I’ll find a clue or two to my family mystery too. Earlier this year, I created an alert for my last name on eBay. I get daily updates on new items for sale that are related to the surname Corley. There’s a ton of 80s TV show memorabilia related to Al Corley, who starred on “Dynasty” (relationship unknown as of now). There also are several authors with the last name Corley. This daily alert has netted me two books written by my kinsman in the past year. Over the summer, I scored another copy of A Genealogy of Corleys, which I gifted to my half-brother. Just a couple of weeks ago, another book by a relative went up for auction. 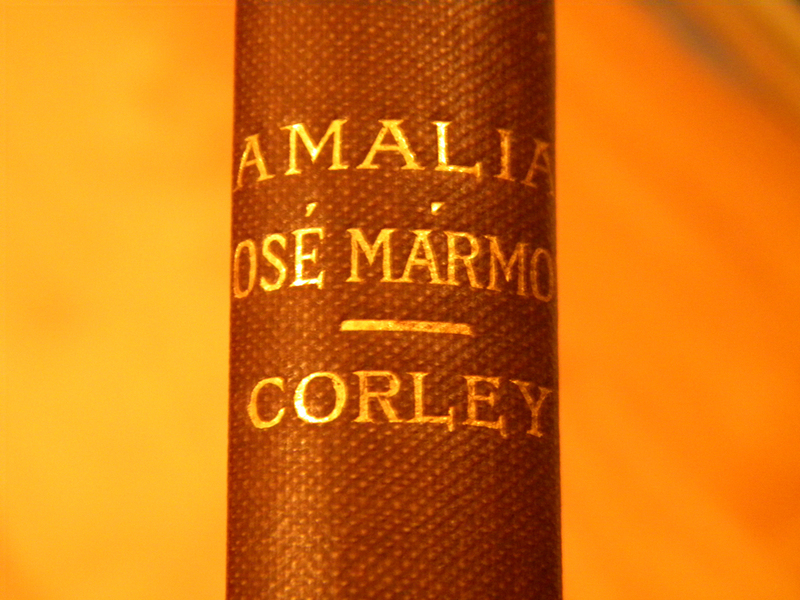 It was a Spanish-language novel edited by my great-uncle Ames Haven Corley for use in the classroom. I was the only person to bid on the book and therefore won the auction. 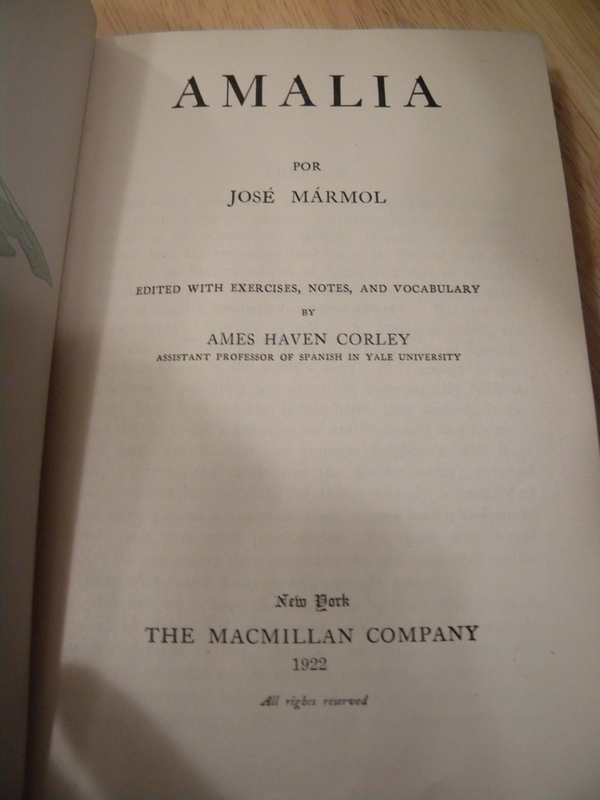 For less than $5 ($.99 bid + shipping), I now am the proud owner of the 1922 Macmillan Spanish Series edition of Amalia. It’s in great shape. Too bad I can’t read Spanish! I don’t know a ton about my great-uncle Ames, but I do know that he taught languages at Williams College (where my father eventually went to school) and at Yale University, for whom this book was printed. As the title page above states, he was an assistant professor at the time this book was published. 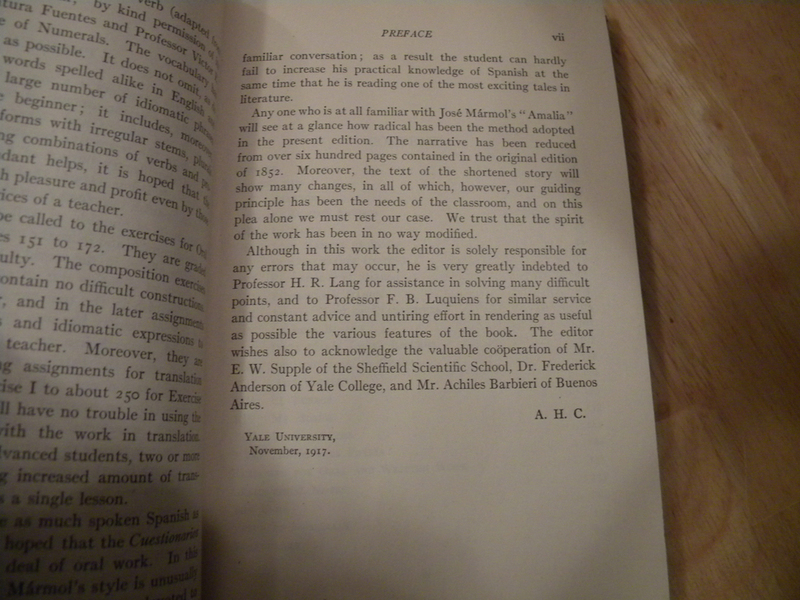 It is neat to read the preface, written in 1917 by my great uncle, who signed his name A.H.C. There are exercises at the back of the book, which were devised by my great-uncle as well. I highly recommend setting up a similar search on eBay — you never know what it may turn up about your ancestors. After the luck I’ve had so far, I intend to set up more alerts for other surnames in my family tree. 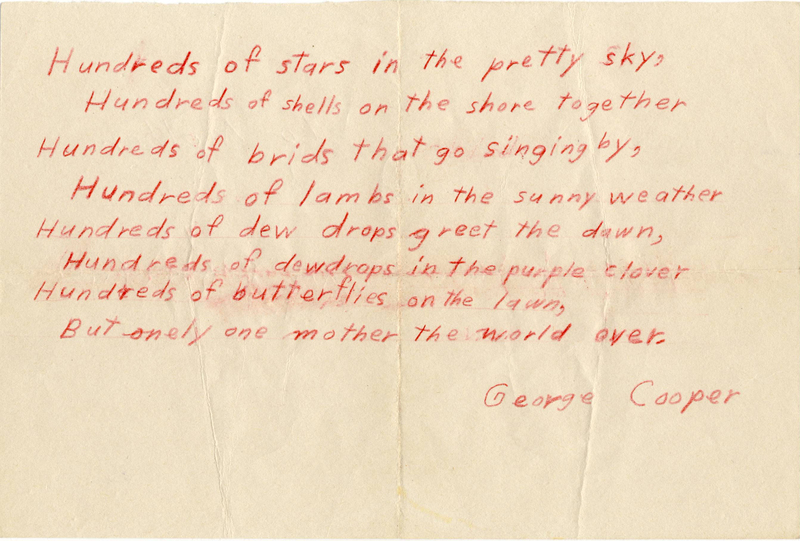 The hand-written copy above was addressed “To Mother.” I’ve always wondered who wrote out the poem and the identity of his or her mother. Since this book was once owned by another Corley, they were probably relatives! I was an avid reader as a kid and loved a lot of the stories around Christmas. 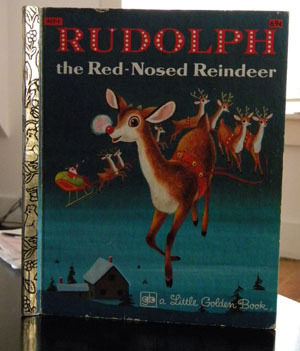 I still have this Little Golden Book version of Rudolph the Red-Nosed Reindeer. I remember having a storybook for Twas the Night Before Christmas. I also enjoyed reading the various Christmas stories in book series like Little House on the Prairie. This is post #17 in the GeneaBloggers Advent Calendar of Christmas Memories. When I was preparing last week’s Treasure Chest Thursday post, I came across a set of two tiny buttons in my mom’s sewing basket that I hadn’t found before — each bearing the face of Beatrix Potter’s Tom Kitten. My mom was an antiquing aficianado (read: eBay addict) and I can only imagine what was going through her head when she spied these. All I know is that when I was three, my parents gave me a copy of The Tale of Tom Kitten, which I still have to this day. For all I know, Mom meant to give these to me and either she lost track of them herself in her sewing basket, or she didn’t get the chance to give them to me before she passed away in 2003. Either way, I’m so glad I found them, all these years later. Finding them caused me to pull out the book, read my parents’ inscription to me and discover the Tom Kitten bookmark still embedded in its pages. 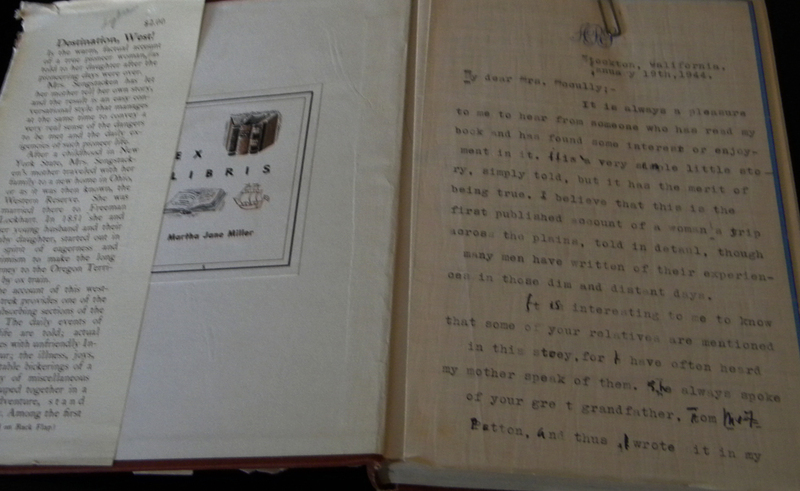 The book lover/genealogist in me goes gaga over inscriptions and lost/strange bookmarks. Rediscovering them in my own books is a thrill.